Welcome to my world of words. I am a writer, meaning that I find deepest satisfaction when fitting daily experiences into words. For more than three decades I have been exploring my natural and psychological worlds through haiku, tanka and other Japanese verse forms. July, 2016. Carol is working on a new book of haiku, titled "A Drift of Birdsong." Read samples here and here. Click here to read or download the 64 page pdf document. Unlike my previous tanka volumes, this new collection is neither narrative nor primarily autobiographical. All of the poems are spoken in a woman’s voice, and many are shaped from the substances and shadows that surround me. But the accent may belong to a woman I have known or read about or imagined, and she may speak from another generation that inhabited the landscape reflected in most of these tanka. Published by Winfred Press, 2013. Buy a copy from the Lulu.com online bookstore. 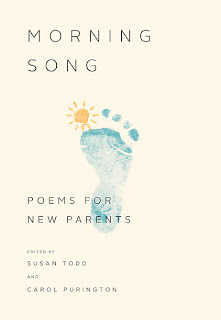 Carol co-edited Morning Song: Poetry for New Parents, published in April 2011 by St. Martin's Press. More about the editors, Carol Purington and Susan Todd, and their book. 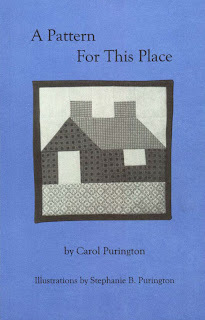 Breathing Poetry: Carol Purington Hasn't Traveled Far Since Childhood Polio Struck, But Her Writing Defies The Limits Of Disability, by Eric Goldscheider, published in the Boston Globe Magazine, July, 2000. 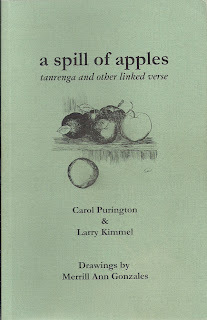 A Harvest of Words ― Carol Purington by Margaret Chula, published in Tanka Online. 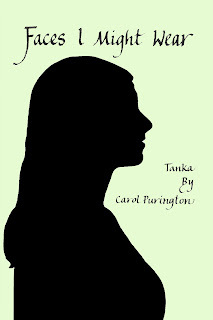 Gathering Peace is a memoir of Carol Purington’s inner life, chronicling a decades-long journey toward insight and acceptance. The movement is episodic rather than narrative, structured around emotions rather than events, because that is how her memory holds the past. Although all of the incidents are factual, some details have been adjusted, and the poems have been sequenced to reflect a personal logic, not the order of their composition. The poems follow the form of the Japanese tanka, a very short verse that links a flash of mood or a moment of awareness with an image of the physical Creation. Front cover photograph by Tasha Gilbert. Published by Winfred Press, 2007. A tanka sequence that tells the story of a Native American woman. These poems convey the physical and emotional texture of her life from childhood into old age through vivid natural imagery and the inner voice of this wonderfully imagined persona. Already called "a minor classic," this book will delight not only readers attuned to the tanka genre, but all lovers of fine poetry. 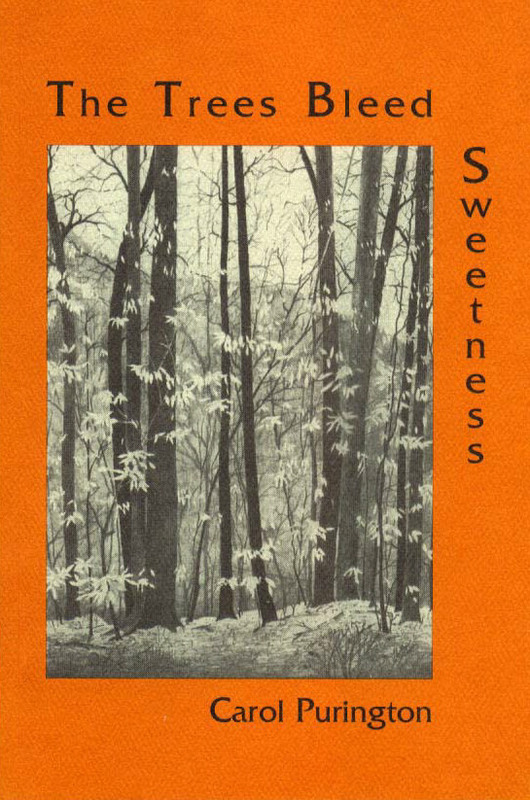 Ten tanka from The Trees Bleed Sweetness have been set to music by Alice Parker, an internationally famous composer with Western Massachusetts roots. 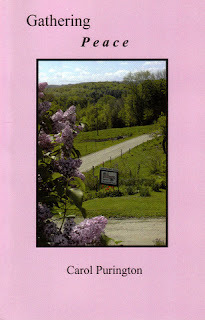 Her suite of songs, "Singing at Dawn," was premiered as part of the Mohawk Trail Concerts Series on July 20 and 21, 2012, in Charlemont, Massachusetts. Gail Blache-Gill, mezzo-soprano, was accompanied by flautist Christopher Krueger and percussionist Sharif Mamoun. Published by Winfred Press, 1997. 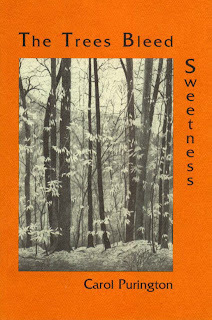 This companion book to The Trees Bleed Sweetness focuses on the physical and psychological reality of a pioneer woman who has moved with her family from Revolutionary Boston to a cabin west of the Connecticut River. There she struggles to shape a new life for her husband and children while coping with the loneliness of geographical dislocation and the harsh joys of wilderness living. Quilt block illustrations by Stephanie B. Purington. Published by Winfred Press, 2001. 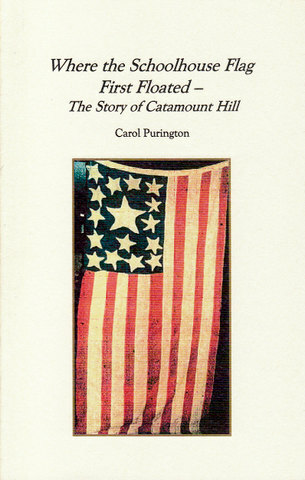 The beautiful and historically intriguing section of Colrain, Massachusetts known as Catamount Hill is widely remembered for a unique flag-raising that took place in 1812. But there is much more to know about this area and its people, and in this prose booklet Carol Purington tells the story of a place fascinating for its natural beauty and unusual record of community life, as well as for its role in American history. 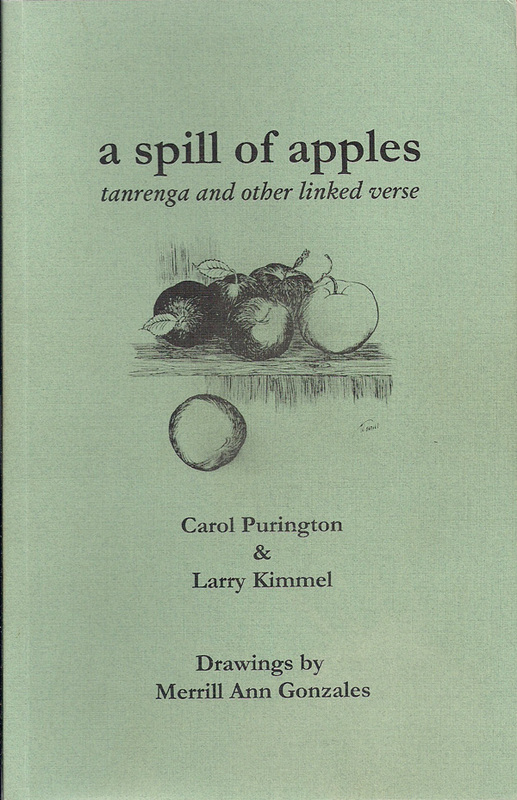 Published by Carol Purington, 2005. Two experienced haiku writers explore ways of linking images, moods and worlds in the unfamiliar but intriguing Japanese genres of tanrenga, rengay, renku, and tanka sequence. The poets’ words are given visual illumination in fine drawings. Drawings by Merrill Ann Gonzales. Published by Winfred Press, 2003. 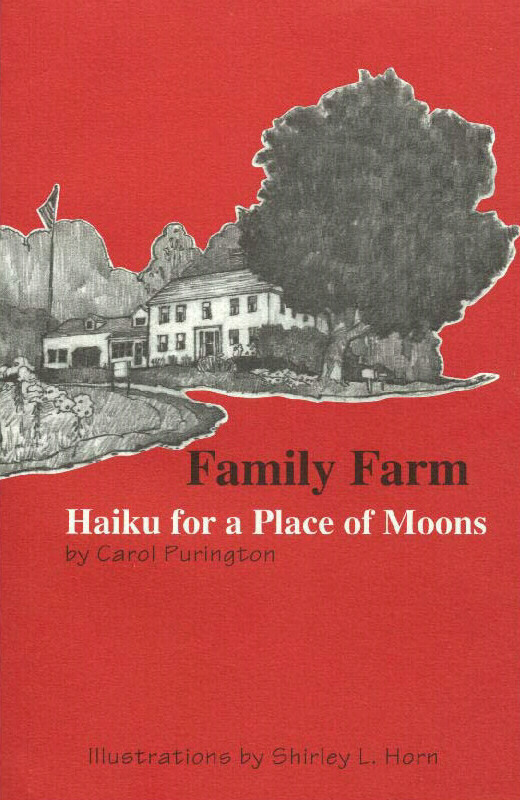 Winner of an Honorable Mention from the Haiku Society of America's Merit Book Awards 2000, Family Farm captures the seasons and individual patterns of life on a multi-generational farm. 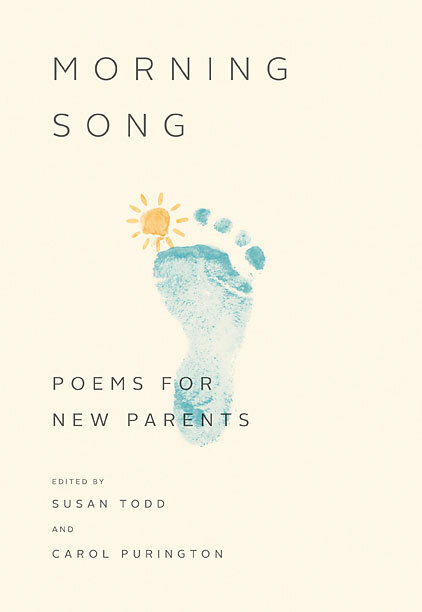 In thirteen sections, each identified by a Native American name for a full moon, more than 300 of Purington's skillfully crafted haiku are sequenced into an order that conveys both change and continuity. Illustrations by Shirley L. Horn. Published by Winfred Press, 1999. 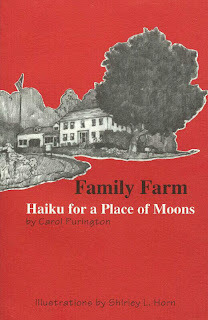 The 200-year-old farm where Carol Purington has spent her life is highlighted in this first collection of her haiku. With precise observations and vivid words she portrays the ever-changing details and panoramas of four seasons spent in the Berkshire Hills. 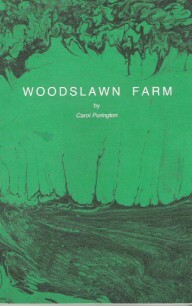 Published by Carol Purington, 1989.